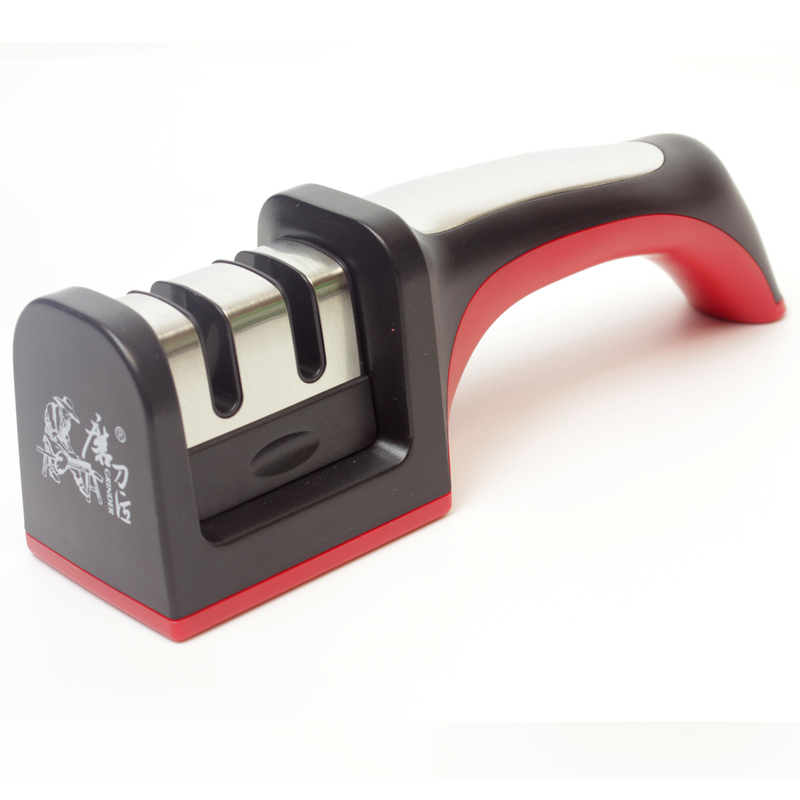 2 STAGE KNIFE SHARPENING SYSTEM - Top quality knife sharpening system has been designed to turn any dull or blunt knife into as sharp as you had it when new, sometimes even sharper! Stage 1 is the coarse sharpening for dull or blunt blades. Run the knife 2-3 three times through here to sharpen almost any straight edged knife. The second stage, fine, smooths the knife edge and adds than final sharpness that any almost chef would be happy with!